Alizabeth Schuler struck out the side for the first five innings en route to a 17-strikeout performance as South Williamsport defeated Mifflinburg, 5-1, in the minor softball Section 3 winners’ bracket final. The win advances South to the sectional championship on Thursday. South Williamsport dominated the game at the plate and was led by Kendall Cardone’s three RBIs. She was also 2 for 3 with a triple. Schuler and Lynna Clark were 2 for 3 as well. 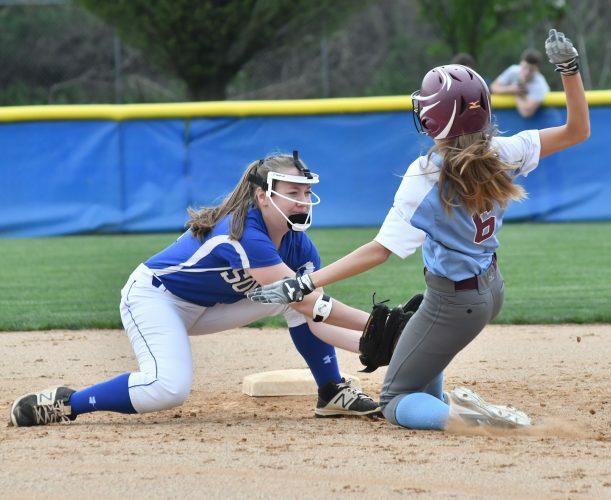 • Clinton opened up the District 12 9-11 softball tournament with a convincing 18-8 win in the first of a best-of-three series between the two. Alizabeth Schuler and Makaya Hills. Taylor Stewart and Maggie Rubendall. W–Schuler. L–Stewart. Top South Williamsport hitters: Kendall Cardone 2-3, 3B, 3 RBIs; Alizabeth Schuler 2-3, RBI; Lynna Clark 2-3. Top Mifflinburg hitters: Anna Pazhucki 1-3.